I’ve now been six weeks without an airplane. Things are progressing… slowly. As Rio says, at least the left wing is back on the plane. But there’s a big hole in the other wing, where the right main fuel tank should be. And that’s the big hang-up right now. The corroding tank, the ultimate smoking gun in our breakdown last year that might have cost us a First Place finish as season champs in the Sport Air Racing League (although our victory was anything but assured), had to be removed and sent halfway across the country to be rebuilt. At the rebuild place all the gazillion rivets that hold the clamshell tank together are drilled out so the tank can be disassembled. It will then be stripped down to bare metal, then reassembled, resealed, and re-riveted. This, apparently, is much cheaper than buying a new one. Or so they tell me. I haven’t actually seen the final bill yet. Or the rebuilt tank, for that matter. They did get the new ADS-B transponder installed. This is a next-generation air traffic control device that will let controllers keep track of airplanes using GPS rather than radar. If you want to fly in controlled airspace after January 1, 2020, you have to have one. Never mind that it might cost you a considerable percentage of the value of your plane! I chose the Garmin version of the ADS-B for no particular reason other than we have a Garmin com radio and we use a dash-mounted Garmin GPS and the Garmin Pilot app for nav. It made sense to me to keep everything the same brand for maximum compatibility. Speaking of our dash-top Garmin, I had my mechanic run a hard-wired plug through the dash to power it so I could reduce the wires that run helter skelter throughout the plane in flight. 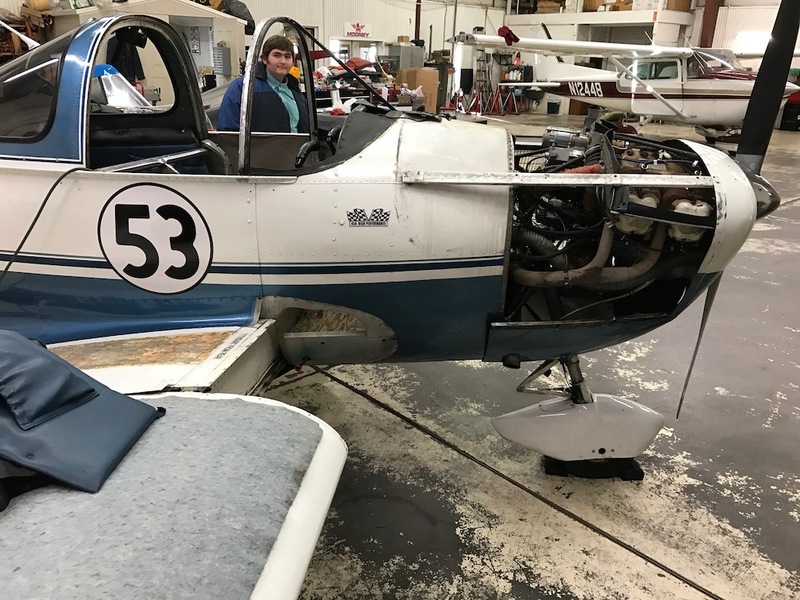 Previously, it plugged into the “cigarette lighter” on the bottom of the dashboard and we had to snake the cord around the copilot yoke and the throttle quad to power it. I was quite pleased with the solution until the next week. That’s when, reading the user’s manual for our new transponder online, I discovered that it has a built-in GPS source that will output to my iPad. I won’t need the dash-mounted unit anymore. The one I just paid to have a cable installed for. So airplane-less for some time, and clearly airplane-less for some time to come, how am I getting my aviation fix? Well, I’m doing some hangar flying. Or our version of it, anyway. Hangar flying is when a bunch of pilots sit around the hangar on bad weather days, or bad maintenance days, and talk about flying. But it makes no sense for me to go to our actual hangar. That would just be more depressing. It’s a 45-minute drive one-way, and we are the only airplane based at the airport. So there would be no one to hang with in the hangar. But we do have our flight lounge at home, with our wall-filling flight planning chart on it, so I’ve spent a lot of time in there, brainstorming routes to the twenty SARL races this season. The room has a happy aviation vibe to it, with it’s flying art, accessories, airplane models, and collection of aviation books. That helps, but it’s not enough. So I actually turned to (((shudder)))) TV. Yes, I confess, Rio and I have been getting our aviation fix by watching the “reality” TV show Ice Pilots, NWT. It’s the tale of Buffalo Airways, a family-owned company largely flying freight and charters in Canada’s cold-cold-cold North West Territories using a fleet of classic “piston pounder” airplanes of the past: DC3s, DC4s, and C46s. Being reality TV, it has big, big personalities and petty little plots, but the planes rock, the photography is breathtaking, and the cast of characters is lovable—especially the boss’s son Mikey, who serves as the company’s general manager—and they all grow on you. The series ran a full six seasons on the History Chanel. We’re halfway through season two. 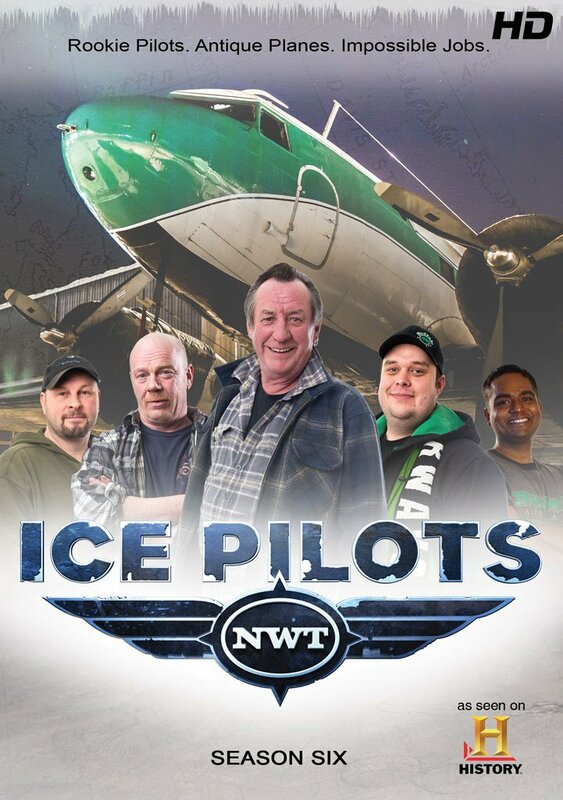 What happens if we finish Ice Pilots before our own piston pounder is back in the air? I guess we’ll have to resort to watching Airplane Repo. Wow, wow, WOW! 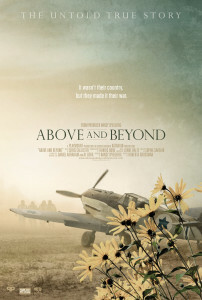 I just saw the movie Above and Beyond, and it’s truly above and beyond the typical movie experience. This is an amazing, beautiful, and informative movie that’s a joy to watch. It’s the story of the birth of the Israeli air force, and it’s an amazing tale that’s gone untold for too long. Probably most Americans know the rough outline of the birth of the State of Israel: The United Nations voted to “partition” Palestine into an Arab state and a Jewish state. At once the new Jewish state was attacked by five neighboring Arab nations. The Arabs publicly vowed to finish the job Hitler started, and the world community stood by and did nothing. The Jews basically had nothing more than handguns, while the highly organized, well armed, state-of-the-art professional Arab armies had all the implements of modern warfare, including armor and aircraft. The smart money was on the Arabs, but that was not how history played out. That much I knew, but what I didn’t know until I saw this movie, was that Jewish pilots from around the world who had served in World War II came to the aid of the new Jewish State. Think Flying Tigers, only in the Middle East. They were called the Machal, the volunteers from abroad. 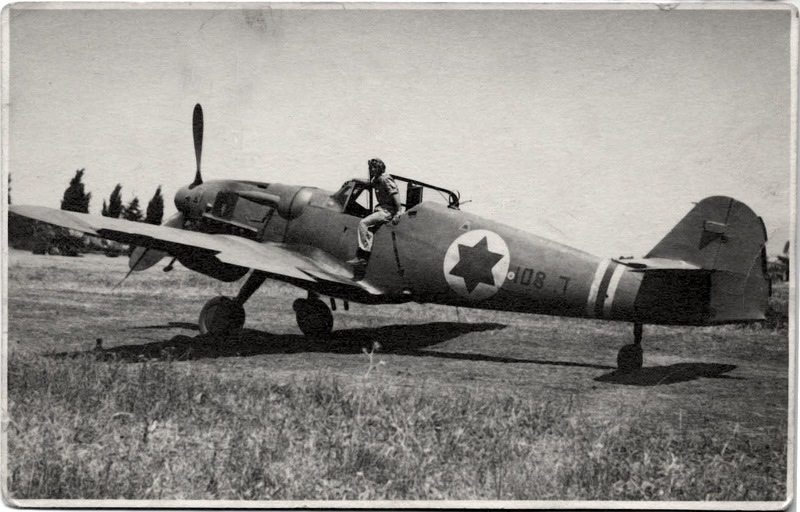 Many of these volunteer pilots had never really thought of themselves as Jewish, and most didn’t speak Hebrew. One pilot, after being shot down by Arab air forces, was then shot at by Israeli ground forces. He saved his life by yelling out the names of all Jewish foods he could think of. And combat wasn’t the only risk to the pilots. Many of them were Americans, and our government threatened loss of citizenship for anyone who flew for Israel. The fliers had to sneak out of the country using elaborate subterfuge, sometimes with the FBI nipping at their heels. 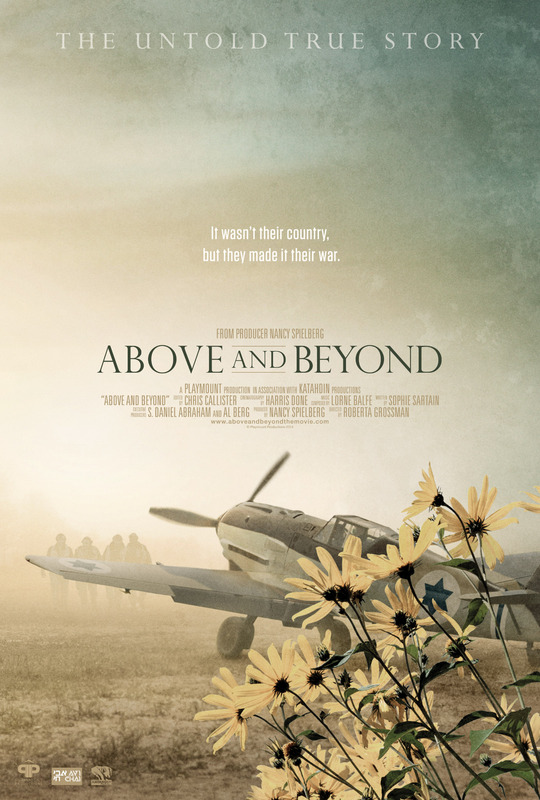 Above and Beyond does a great job of giving the viewer just enough information about the birth of Israel to put the creation of the nascent air force into perspective, while shocking us by reminding us just how deep and pervasive anti-Semitism ran in our own society not so long ago. But the movie is riveting and beautiful, both in its story and in its storytelling. Director Roberta Grossman seamlessly blends interviews with some of the surviving pilots, archival footage, and modern computer-generated graphics into a feast for the eyes, ears, and soul. The most amazing moment for me? To set the stage, understand that while enough countries in the world voted for partition, creating the state of Israel, only one afforded any assistance to them beyond that point. And it wasn’t us. It was, of all nations, Czechoslovakia. But this wasn’t noble on their part; it was practical. The Czech economy was in tatters and the Israelis had the only American export that they’d managed to finagle: Money. And lots of it. The Czechs also had a German Messerschmitt factory that survived World War II. It made ME-109 Fighter planes. Well, a plane that was a shadow of the ME-109. The original engine factory had been destroyed, so the workers stuffed bomber engines into the fighter’s noses, turning a fearsome Nazi warbird into a plane that might be more dangerous to her pilots than to the enemy. Many were lost on takeoffs and landings, and in other cases, with the gun synchronizer timing improperly adjusted, the planes would shoot their own propellers off. The Czech 109s were poorly built and almost impossible to handle, but Israel had no air force and was being invaded by five belligerents who did have airpower (as well as tanks, artillery and all manner of modern weapons). Four of these fighter planes were disassembled, loaded into cargo planes that had been illegally purchased in the US and then smuggled to Czechoslovakia by way of Panama, South America, and Italy, and flown to Israel. The four fighters were then secretly re-assembled in a hangar near Tele Aviv. To maintain the element of surprise, the Israelis didn’t even risk test flights. On May 29, 1948, with the 10,000-man Egyptian army literally at the gates of Tel Aviv, these four piece-of-crap planes—called Messer-shits by their pilots—took off, and in one single sortie changed the course of world history. How? Hey, I’m no spoiler. Go see the film yourself. The movie, produced by Nancy Spielberg, Steven Spielberg’s sister, is being screened at various venues around the country. Check and see if one is near you. If not, plan a cross-country trip. I promise that it will be worth your time and Avgas. It’s not too often you can learn a ton of things you never knew in 87 minutes, and enjoy yourself at the same time. 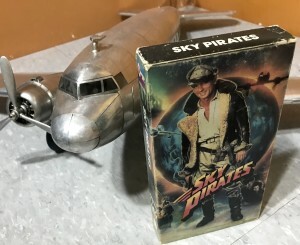 Hopefully the movie will eventually come to DVD, I’ll be the first to add it to my aviation video library.